What can account for these two radically different opinions? Well, Gardner is a Mormon and Jenkins is not. That certainly has something to do with it. But I think there is more to it than that. Gardner has recently finished a nearly 500 page study on the historicity of the Book of Mormon. Previous to this, Gardner has published an award-winning study on the translation of the Book of Mormon, and a meticulous 6-volume commentary on several aspects of the text. Gardner’s contributions to the study of the Book of Mormon have been monumental, and this latest book is no exception. There is a reason I consider him one of the top 5 Book of Mormon scholars of all time. Jenkins, meanwhile, has contributed nothing meaningful to our understanding of the Book of Mormon. He has not even contributed a meaningful argument against it. I’ll let the reader decide which of our two experts is doing “what scholars do” on the Book of Mormon. Yet the thrust of many of Jenkins dismissive comments is that the “apologists writing about the Book of Mormon know as little about authentic historical or archaeological methodology as I do about bees, but that does not prevent them from making statements about history and archaeology.” There is certainly truth to this on message boards and comments sections across the Internet, but the Book of Mormon is not its only victim. The Internet is an equal-opportunity stage for crack-pottery of every kind, and on all sorts of otherwise legitimate fields of study. Jenkins surely knows that what scholars do is find the best and strongest argument made for something and engage with that—not what every idiot on the Internet has to say. And Gardner’s latest book, Traditions of the Fathers: The Book of Mormon as History, represents the latest, strongest, and most comprehensive case yet put forth for reading the Book of Mormon as history. I have personally offered to send Jenkins a free copy of it, as soon as it is available, on the condition that he will read it and review it. Contra Jenkins assertions about “apologists writing about the Book of Mormon,” Gardner is strong on methodological grounds, which is precisely why I think it would be helpful for Jenkins to read it. He has, so far, turned down my offer. Fortunately, however, Greg Kofford Books has made Gardner’s chapter methodology available as a preview of the book, so now Jenkins and anyone else can read and judge for themselves if Gardner (and Mormon “apologists” in general) is clueless “about authentic historical or archaeological methodology” as Jenkins would have us believe. In reaction to this, Frendo didn’t just start his study with a discussion of methodology—he made his study all about methodology. Frendo’s experience alerts us to the fact that even among professionals, there is a need to sort out methodological matters. This couldn’t be more apparent in the Hamblin/Jenkins debate. 1- We must correctly interpret the Book of Mormon. 2- We must correctly understand and interpret Mesoamerican evidence. 3- We must correctly understand and interpret ancient Near Eastern evidence. 4- We must attempt to understand the possible relationships between scholarly interpretations of the Book of Mormon and the Mesoamerican and ancient Near Eastern data. Alas, Jenkins would have us believe that to acknowledge the fact that interpretation is a necessary and inherent step to getting to the evidence—and that it is a non-objective process—necessarily means you must go down the post-modern rabbit hole. Yet this is not the case. In his What Did the Biblical Writers Know and When Did They Know It? (Grand Rapids: Wm. B Eerdmans, 2001), William Dever—certainly no lover of post-modernism, as a reading of the first two chapters will quickly reveal—discusses methodology at length. Part of that discussion includes exploring what “facts” and “data” are. Dever notes that while “facts are theoretically provable … In practice … facts are merely inferences that each person draws, based not only on observations, but also on our own social conditioning and the intent of our investigation.” Hence, “Facts do not speak directly. They may in principle have a concrete existence of their own; but they come to life, empowered to speak to me of the past only as I am able to incorporate them into my consciousness.” Of facts in archaeology, Dever says “they are relatively few and generally of minimal significance in themselves. Even these facts, however, must be carefully established as such before becoming admissible evidence” (p. 70, emphasis mine). Dever goes on to argue, “Ordinarily the terms ‘fact’ and ‘data’ are used interchangeably, but I contend that they represent two successive stages of the interpretive process” (emphasis mine). Thus, “facts become data—that is, useful information—only as interpreted within an intellectual framework that is capable of giving them significance” (p. 72, emphasis in original). Ultimately, Dever argues that “texts and artifacts are both data to be ‘read’ [i.e., interpreted] and both may constitute sources for writing history,” and as such, “they must be interpreted separately and similarly, and then compared” (p. 78–79). Compare this to the four steps of interpretation Hamblin insists on for the present discussion (cited above). So he expects Middle-Eastern looking material culture in the New World. But why? This kind of expectation can only be based on how Jenkins reads the text—and it is a rather weak reading. Jenkins is not offering any interpretation based on a close encounter with the text (or with New World archaeology, for that matter), but rather is interpreting from a distance. From impressions based on the general storyline of the text. But close reading suggest that the small number of migrants in 1 Nephi would be unlikely to leave a clear trace, and that by the time populations have expanded in the Book of Mormon, their material culture was probably closer to their Mesoamerican neighbors than their Middle Eastern ancestors. The role interpretation plays in all of this is readily apparent when one looks at what happens when someone tries to offer a piece of evidence that might satisfy Jenkins’s “rule of one.” First, with Nahom/NHM from commenters, and then when Hamblin put forward Akish/Ukix. Jenkins dismisses both, of course, and thus ends right where he started: there is no evidence whatsoever. But what makes it evidence or not evidence is the interpretation. How one interprets the text, how one interprets the data on Nihm, and how one interprets and contextualizes the altars with the inscription are all part of the process. Unfortunately, Jenkins makes numerous interpretive (and even factual) errors of both text and artifact when dealing with Nahom/NHM, but in any case the process allows him to conclude “not evidence.” I think Latter-day Saint literature discussing this is on much stronger interpretive and methodological ground, but I’ll let readers pursue it and decide for themselves. Likewise, how Hamblin interprets the Book of Mormon text related to Akish (ah-kish), and how he interprets the inscription traditionally read as Ukix (oo-kish) is part of why he sees evidence for the Book of Mormon here. Jenkins predictably responds that this is “not evidence,” and it is again by process of interpretation that he gets there. I personally think Jenkins does a better job this time than he does with Nahom, but won’t go into that here. The point is interpretation is happening here, and pretending that it is not, but that you are simply discussing “objective evidence” (or the lack thereof) is not helpful to the discussion. None of this should be taken to suggest that we cannot know things about the past—as I said, we do not have to go down the po-mo rabbit hole here. Rather, it is to recognize what is being debated here; which is more interpretation of evidence rather than evidence itself. When we recognize the role that interpretation plays in the process, and are clear about the interpretations we are making, how we are making them, why, etc., then we can have a productive discussion. We may still fail to reach agreement (as happens sometimes between scholars), but the engagement can begin to shed more light and less heat. Of course, none of this is meant to avoid providing evidence from both archaeology and anthropology. The point is, as I argued already in an earlier post, that the kind of evidence we expect needs to be based on a solid understanding (which requires interpretation!) of the text and the relevant archaeological data—and on close reading (i.e., interpreting) of both. If you want to see what that looks like with the Book of Mormon, you’ll have more luck reading Brant Gardner than Philip Jenkins. The reason is, (and what this discussion should make clear by now) is that single pieces of evidence—like those called for by Jenkins’s “rule of one”—will always fail to be persuasive, regardless of whether we are dealing with the Book of Mormon, the Bible, or whatever. This is so precisely because interpretation will always allow for individual facts to rendered “not evidence.” As Gardner puts in his forthcoming book, “The Book of Mormon will require sterner stuff” (p. 50). He goes on, “We will require a large number of convergences, and even then, we will require more than simple convergences. What the Book of Mormon will require is a number of complex correspondences that are interrelated between text, time, and place” (p. 50). Gardner has upped the ante. He is promising something much more significant than “any single credible fact.” I suggest readers get his book and decide from themselves if he delivers. This is another in a series of great posts. Thanks for sharing. I've particularly liked Gardner's writing because in addition to providing great insights into the texts he discusses his methodology. I remember him doing so even in Fair presentations to general audiences almost ten years ago. This might be based on my particular weaknesses. I think I'm fairly strong when it comes to discussing military theory, but when I move beyond that, much of my training has been done on the job as I research and write about military history and its intersection with the Book of Mormon. Thus I enjoy it a great deal when I can read solid scholarship that also describes their methodology in practical terms. It seemed kind of futile to me but I appreciate how you and Hamblin are taking the time to provide substantive responses. The debate you are having with Wolfenstasi is quite interesting. I was reading some Hans Delbruck today and came across some interesting information. Part of his contribution to the field was reassessing numbers in ancient texts. For example, he pointed out using logistical principles, that the train of the Persian's million man army would be so big that the last man wouldn't have left Persia before the vanguard arrived at Marathon and fought the battle!! This was pretty cool to read because I used the same reasoning to reassess numbers in the BoM, and even the same historical example!! So besides having to add a footnote, I'm astounded at this debate over fake Mormon scholars using absurd methodology. As I said, this is not my natural area of strength. But I read about the techniques employed by credible mainstream scholars and find that my methods are very good. In this case, I'm doing so well that I independently discovered and used a methodology developed by one of the legends in the field of military history, and I even used one of his most vivid examples. Needless to say I think those like Gardner are doing just fine, and sincerely interested parties can see for themselves. Reminds me of the book that came out recently where the author insisted that no 1st century authors mentioned Jesus and therefore he concluded that Jesus was not a real person. Except he ignored the several authors whose works now appear in the New Testament, and Josephus. At that point his methodology, or lack thereof, completely overwhelmed his argument. With a bad methodology any evidence, even concrete evidence can be dismissed. 1. If something hasn't been accepted by the broader scholarly community, it can be dismissed without hesitation. 2. In the case that something has been largely dismissed by the general scholarly community, the only thing that could possibly merit further investigation is at least one piece of incontrovertible evidence that substantiates its claim. Obviously, each of these premises is largely fallacious. The first relies on an "appeal to authority". The second simply avoids the variety of valid types of evidence--sort of a "false dilemma" combined with a "hasty conclusion." It is true that at some point, all of us must rely on authority figures to help shape our view of reality. We are all ignorant about many things, and therefore we are generally consigned to trust experts in their various fields. However, there are certainly qualifications that must be made in this regard. It should first be recognized that the professional consensus in virtually every field of knowledge has been wrong on numerous occasions, even concerning the most foundational of assumptions. Secondly, many issues are simply outside the scope of a discipline of knowledge. For instance, Hamblin adequately demonstrated that non-LDS Mesoamerican scholars are generally not equipped to evaluate the Book of Mormon because they haven't read it and aren't familiar with the scholarly research which supports it. Thirdly, many disciplines are, by their very nature, less reliable than others. For instance, paleontology is in a totally different realm than, say, marine biology. The biologist gets to directly observe animals in their natural habitat. The paleontologist must heavily rely on inference and theoretical extrapolations to answer questions that are essentially self evident to the marine biologist. It isn't that paleontology is less rigorous than marine biology, but simply that its inherent limitations make it less reliable. Mesoamerican archeology is one of those disciplines that is heavily constrained by limited data, and therefore even a consensus among its scholars is inherently less reliable on many issues. Therefore, Jenkins' appeal to authority on this issue is essentially fallacious. I find Jenkins' demand for a singular piece of convincing evidence to be somewhat startling. He postures that he is a "big boy" and can handle the issues without the discussion devolving into issues of methodology or epistemology. It seems like what he is really saying is: "I won't let you question the assumptions upon which my question is based. Just answer my question!" I think that Neal has demonstrated quite ably that Jenkins' approach in this regard is misguided. Numerous pieces of converging circumstantial evidences can sometimes be stronger than a single piece of more direct evidence. And honestly, Jenkins provides a list of types of evidence that he feels would suffice, but he doesn't provide any criteria that would satisfy him for a given type. Hamblin got into this quite thoroughly in his explanation of inscriptional data. So far, Jenkins has pretty much ignored the substance of these arguments. Somewhat frustrating, but certainly predictable. What it all really comes down to is that Jenkins refuses to seriously engage the debate about why his assumptions and methodology are invalid. From my perspective, this suggests he either doesn't get it, or else he is doing exactly what he accuses the LDS scholars of doing: Not Answering The Question! I doubt that Jenkins will ever allow the assumptions to his questions to be scrutinized, and therefore I doubt the debate will proceed in any meaningful way. What I honestly don't get is the irresponsible behavior. It is completely irresponsible to criticize a branch of scholarship that you know virtually nothing about--especially when you have to fundamentally rely upon logical fallacies to do so. For instance, lets say that there were a group of legitimate scholars who believed that extraterrestrials had made contact with humanity in the distant past. (Currently, I know of no such organized group of legitimate and qualified scholars who believe this.) And let's say that these aliens left a book that touched upon many points of our history, the contents of which could be substantiated by archeology in some remote part of the world. And let's say that numerous--hundreds even--of these scholars have been publishing on this topic for many decades now. And let's also assume that these scholars have largely been rejected by mainstream academia. I am not prone to believe in aliens. I could say I am biased or predisposed not to believe in them--or at least not the version that is commonly held in our culture. I may even elect to dismiss these claims outright, without giving them any semblance of a thorough evaluation. I may even vocally explain to others why I am not interested in pursuing such an investigation, though without criticizing the specific nature of their research. There would be nothing wrong with this. What would be completely irresponsible, however, is if I began to openly criticize the research of scholars whose works I had never even read. The fact that they have legitimate degrees from legitimate universities in itself should give me pause. It would be completely unjust and unwise to publically attack their work when I hadn't evaluated it on its own merits. If I disagreed with their conclusions and wanted to publically denounce them, then there would be only one honorable thing to do: search out their best arguments and then refute them with thorough, sound argumentation. We are all biased, but we shouldn't allow our biases to lead us to irresponsible prejudices. That is exactly what Jenkins has done. I only believe what is true. I believe this. Thus this must be true. Most persons prefer the certainty of fiction to the uncertainty of reality. "How one interprets the text, how one interprets the data on Nihm, and how one interprets and contextualizes the altars with the inscription are all part of the process. Unfortunately, Jenkins makes numerous interpretive (and even factual) errors of both text and artifact when dealing with Nahom/NHM, but in any case the process allows him to conclude 'not evidence.'" This is because his bias and firm presupposition that the Book of Mormon is not an ancient historical document has led him to stick his fingers in his ears, close his eyes, and repeat over and over "There is no evidence." As I understand it, Dr. Jenkins has never read the Book of Mormon himself, and he has refused to read anything submitted to him for consideration. For example, Dr. Hamblin provided Dr. Jenkins with a link to an article written by Dr. John Clark on possible archaeological/historical matches between Olmec and Nephite cultures. Dr. Jenkins refuse to read and consider Dr. Clark's article. You write that Dr. Jenkins refuses to read and consider Brant Gardner's work. Dr. Jenkins just cannot be taken seriously at this point. I find it laughable that you would comment that what Gardner is doing is "what scholars do". It's quite hilarious actually to suggest that taking a 19th century piece of fiction and trying to draw parallels between it's narrative and the actual history of the New World would be "what scholars do". Gardner's methodology is fundamentally flawed, he is not looking at the evidence and letting it lead him to the truth but rather, he is starting with presuppositions and then seeing where the evidence might possibly converge. This isn't scholarship, and you know it. What Gardner is doing is faith based research and presentation, nothing more nothing less. If he had anything scientifically concrete, he would present it to a reputable journal. He doesn't, so he won't, and here we are yet again. "It's quite hilarious actually to suggest that taking a 19th century piece of fiction and trying to draw parallels between it's narrative and the actual history of the New World would be "what scholars do"." Now, I saw what you did there. The Book of Mormon is, a priori, 19th century fiction. Therefore, no need to read an argument for its antiquity, it is ridiculous on its face. But making such certain a priori judgments is manifestly not what scholars do, or at least it is not what they are supposed to do (yet it is, patently, what Jenkins is doing). It is certainly now, as you say, "looking at the evidence and letting it lead [you] to the truth"
And about that. What can you even describe Gardner's methodology? If not, you really can't speak to its flaws, now can you? And clearly, you missed much of the point of this blog post if you think evidence can just lead a person to truth, that anything can be done without presuppositions. Here is a presupposition for you: "you don't get books from angels and translate them by miracles." This certainly appears to be a presupposition you are starting with. Are you willing to shed that presupposition and see where the evidence leads? Yeah, didn't think so. Scholarship is about investigating various claims. If is historical, then it is about investigating claims about the past. Gardner is certainly doing that. Yes, indeed, he is doing with certain presuppositions, assumptions, and biases. But we all do it with those in place. It is impossible to do it without them! And, in fact, while our biases tend to blind us to certain things, they help us see others. There is simply nothing to see at all--certainly nothing meaningful--without the filtering effect of presuppositions and biases. So, we have them. We try to be clear about what they are, we construct methods designed to both help clarify and explicate our biases, and in some sense control and limit them. But we just can't get rid of them. No one can. So we deal with it. Really, they only become a serious problem when they obstruct our capacity to even consider a possibility, as they have with you and Book of Mormon historicity. And so long as that is not a possibility you (or Jenkins), not really much of a conversation to be had, now is there? I've read enough of Gardner's work to understand his methodology. You are under the delusion that just because someone demands evidence for an incredible claim such as "books from angels and translate them by miracles", that they are.......not willing to accept the evidence if/when it is presented? I really don't care what Gardner publishes or have much of an opinion on it until you start trying to qualify his work as scholarship following sound scientific principles giving credence to the historicity of the Book of Mormon (not that I'm sure that you're necessarily doing this here). Jenkins has repeatedly asked Professor Hamblin for credible evidence of which he has been unable to supply one iota thus far. If Gardner has something substantial, you should point it out to Hamblin and have him present it. And then the fun will really begin. But.....you won't.....he won't.....and we're left laughing at what you believe is "what scholars do". Well, I see how this game is played. Have a nice day. To begin with, Gardner starts with the assumption that the Book of Mormon is true. Need I say more? His methodology is fundamentally flawed from the outset. No serious scholar would start out with that assumption regarding any spectacular claim such as this. They would consider the possibility, but not assume it to be true. I might add that Professor Jenkins has taken this position and readily admitted that he could be convinced that the book actually represents actual history if the evidence was provided to prove this and has (repeatedly) asked that it be presented for discussion. This is when apologists start wanting to discuss methodology etc. as they have nothing to offer that rises to the level of scholarly evidence, but would rather discuss why there IS NO EVIDENCE beyond the circumstantial meanderings in their apologetic bag of tricks. Again, everyone is waiting with baited breath for a positive case to be made for the Book of Mormon worthy of a reputable journal........but still nothing. You would rather waste time trying to reach an agreement that your evidence is in fact evidence before you even present it. Just present it if it exists and let the chips fall where they may. Unfortunately, you don't have the type of evidence that gets published in reputable journals because it doesn't exist. So your argument turns to an attempt to legitimize what you do have which is far from compelling to anyone but those who are already heavily invested in the church being true such as apologists and many members of the church. There's no need to lecture me on my narrow view of what the evidence should look like. Present it to a reputable journal and then lecture them about their narrow view when they reject your offering. Be sure to let them know that everyone starts with presuppositions and biases and they should accept yours just as they accept their own. I'm sure they'll be more than happy to learn at your feet. And, alas, we learn with this that you, in fact, do not actually know anything about Gardner's methodology. As for Jenkins, he has not displayed any kind of openness to the idea at all. Re-read the quote from him at the beginning of this blog post. He says it is not debatable. And, naturally, he has been entirely unwilling to seriously consider any alternative point of view. Now I am entirely unconvinced that the question Jenkins demands I or any other apologist answer is an appropriate question based on the criteria Dever sets out here. Yet any effort to discuss that with Jenkins, or anybody else promoting his recent blog posts, and come to terms with what might be some more appropriate questions is immediately denounced as a "smoke screen" or an "apologetic bag of tricks." Yet it is nothing of the sort. It represents my actual conviction, based on what I know and understand about "the nature of the material at one’s disposal and the intellectual stage of the discipline." I am perfectly willing to be convinced otherwise, unlike Jenkins, but no one will actually take the time to discuss it. They just want to ignore it, say I or Hamblin are "muddying the waters" and then reassert the question. Not terribly productive, really. Posistive evidence for the Book of Mormon, and an overall positive case has been made, several times and in several places. I've recommended a book that is just that. You and Jenkins both have refused to read it. Neither of you are children; you shouldn't need to spoon fed. And whether it is worthy of an academic journal is a judgement you are entirely welcome to make after you have read it. Alas we see that the emperor has no clothes. "I can't answer for anyone else, but I can answer for myself. When I began working on Quetzalcoatl mythology, I started with the assumption that I would confirm the standard LDS interpretation. I soon found that the evidence was quite complicated and that in the end it did not confirm the standard LDS interpretation of Quetzalcoatl. That required me to restructure the way I saw the Book of Mormon relative to that particular issue (and to understand that it has nothing to do with the Book of Mormon, so it was a restructuring of folklore more than scripture). I never laid aside my testimony, never picked it up again. Nevertheless, I doubt that there are any secular Mesoamericanists who would disagree with my analysis. On the other hand, I applied the same methodological rigor to placing the Book of Mormon in a Mesoamerican context. I did it with the same willingness to a conclusion that doesn't fit, but I found that while there were (as with Quetzalcoatl) some ideas that didn't fit, much did. However, I sincerely doubt that Mesoamericanists would agree with my analysis. The difference lies totally in the realm of their assumed approach to religion, and not in the data." If his methodology isn't foundationally based on his belief that the Book of Mormon is true, why does he believe that no other mesoamericanists would agree with his analysis? What was different about his analysis? Could it be that he considered the Book of Mormon a historical document before even examining evidence? If you only look for parallels, you're bound to find them...but that's not scholarship. I understand that you are trying to bracket his methodology outside of his faith but it just doesn't work that way, he is obviously including his faith as the driving force behind all of his research, he may not always force the evidence to fit, but he draws conclusions that could not be drawn if he didn't consider the Book of Mormon true a priori. I agree that positive evidence for the Book of Mormon has been laid out many times, the problem is that it's exceptionally weak and can't even rise to the level of scholarship that any reputable journal would accept. There's no need for me to make a judgement of whether any material is worthy of an academic journal, that judgement appears to have already been made by the author as this is obviously the most prestigious place to publish his scholarly endeavors....and he has chosen not to for some reason? You say that you are "perfectly willing to be convinced otherwise", otherwise of what? That the Book of Mormon isn't historical? Or that any one or more of the pieces of evidence amassed by authors such as Gardner isn't compelling? You should present the best evidence and let the cards fall where they may. Everyone is biased. Everyone has expectations or assumptions about reality. But you seem to be saying that unless one approaches an issue from complete objectivity and with no expected outcome, then they are unfit to analyze data. As if expectations themselves are off limits. I don't get this. Science is built on the principle of hypotheses. The reason scientists perform experiments is because they believe/hope/expect/predict certain outcomes. This is pretty much true for all disciplines of knowledge where research is involved. The whole point is to test theories about how the world works. The rigor of science and scholarship isn't about exterminating assumptions or expectations from inquiry. It is about not allowing those expectations/assumptions/presuppositions/beliefs/biases/etc. to unfairly manipulate the gathering and evaluation of data. It seems Gardner was trying to demonstrate that despite his preconceived assumptions, he was willing to let the evidence lead him where it would. Even if that meant abandoning what had originally seemed to be an evidence in favor of his religious convictions. In other words, he is demonstrating that he is responsibly aware of and keeping a check on his own bias. He said he was willing to do this and showed evidence that he had done it. 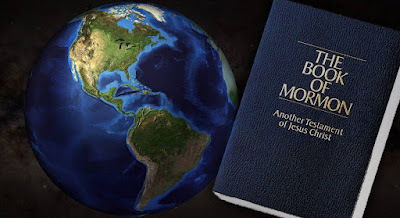 Then he explains that using the same standards of scholarly rigor, he discovered other evidences that supported the Book of Mormon's historicity. And he ascribes the likely rejection of this evidence by secular Mesoamerican scholars as resulting from THEIR inability to check THEIR own bias. Notice that he assumes they would accept his scholarship concerning Quetzalcoatl, but likely reject anything that supported Book of Mormon historicity. Unlike himself, they seem largely unwilling to admit and control their own biases. If you want to responsibly engage with Gardner's research you are going to have to do a lot more than accuse him of having a bias. That argument will almost always cut both ways when it comes to Book of Mormon historicity. Instead, you will have to adequately demonstrate that his bias is UNFAIRLY manipulating or controlling his presentation and evaluation of evidence. Along with this burden comes the responsibility to actually read his research, accurately represent it, and then refute it in detail. It would also probably help if you had sufficient experience in the specific discipline in which he is conducting his research. I'm guessing you really aren't qualified to responsibly engage Gardner's research. And since you probably aren't, I doubt you are qualified to determine whether other Mesoamerican scholars are rejecting it because it has no merit or for some other reason--for instance, their own bias, disinterest, or lack of familiarity with the Book of Mormon and the scholarly arguments for its authenticity. But that would probably be far to difficult. It is much easier to hide behind appeals to authority, appeals to popularity, and vague suppositions about how bias is certainly determining conclusions. Ignorance must always hide behind fallacies to make its claims. I honestly do not see how that quote helps your case at all. He started with an assumption about LDS folklore and found it to be wrong, precisely because he approached the subject rigorously. And he says he has applied that same rigor to the Book of Mormon. I understand that his faith, as a bias, will influence his methodology. I never denied that. I denied that his methodology is to start with the assumption that the Book of Mormon is "true". I have already read his chapter on methodology in his book, and he does not. He does start by giving it the benefit of the doubt as history, but that is not inherently "unscholarly" as we can see Hoffmeier, Frendo, and Dever all advocate this kind of approach. You can read his chapter on method on the Kofford website. It's a free preview. I'm thinking about writing a blog post that summarizes and highlights key points in light of the current discussion. I think it is safe to say I disagree with your assessment of the positive evidence for the Book of Mormon. I also highly doubt I can convince you otherwise, so I see little reason in trying. But, in any case, there are plenty of reasons an argument may not be published in a scholarly journal. Ryan hear has highlighted one. When an argument becomes about whether something was peer-reviewed rather than the content and merit of the argument itself, there are a number of logical fallacies that become relevant (appeal to authority, red herring, ad hominem, I could go on). It really contributes nothing, though it has been a favorite tactic of Jenkins. "You say that you are "perfectly willing to be convinced otherwise", otherwise of what? That the Book of Mormon isn't historical? Or that any one or more of the pieces of evidence amassed by authors such as Gardner isn't compelling?" Umm, I think the subject of the paragraph within with you pulled that sentence makes it obvious, but I am perfectly willing to be convinced that Jenkins main question IS an appropriate one based on "the nature of the material at one’s disposal and the intellectual stage of the discipline." It would require illustrating that we have the necessary information in the Book of Mormon, the right kind of material data from right time and place, and that the intellectual stage of the discipline (both New World archaeology, and Book of Mormon studies) are capable of addressing this kind of question. At present, I have doubts on all fronts. The Book of Mormon does not allow to determine a lot about the peoples material culture, there are precious few readable pre-Classic inscriptions (we don't know the ancient, native names of most culture groups there), 95+% of Mesoamerican ruins remain unexcavated, and serious LDS treatment of the Book of Mormon in Mesoamerica is in its infancy. I mean, the book that Gardner is replacing (in my mind at least) as the go-to source on this is 30 years old! And before that book, there was essentially nothing but garbage. Sorenson's first book was groundbreaking because it was more rigorous and professional and comprehensive than anything else done before. The same can be said about Gardner's book today: it is more rigorous, professional, and comprehensive than anything else before it. But only 2 serious treatments of the Book of Mormon in Mesoamerica, and those 30 years apart from each other? I'd say we are still in early development here and it is hardly time to throw in the towel because we can't answer some pointed questions just yet. In fact, now is exactly the wrong time to stop. We have Gardner's book just coming out, Mark Wright is a recent PhD who is just beginning to publish on the Book of Mormon, and another long time Mesoamerican expert with decades of experience in the field who is about to start publishing on the topic publicly after all these years. I think there is consider future promise for the Book of Mormon in Mesoamerica. "You should present the best evidence and let the cards fall where they may." You keep saying this as if no one should ever do anything else for their position. No one should ever comment on the nature of the debate, or make observations about the arguments being advanced by the other side, or counter-assertions about what the evidence should be. You know where to find what I consider the best evidence. I am more than willing to let you and anyone else read it and "let the chips fall where they may," by which I mean you can come to your own conclusions. That does not mean I am going to stop discussing what I consider to be important points in the discussion. Of course, the chips can fall where they may on that as well. You and others may not see it the same way I do. What is important to me may seem like a smoke screen to you. OK, fine. How am I interfering with that? Is simply continuing to discuss it some how not "letting the chips fall where they may"? If so, is the fact that you keep commenting here evidence that you just won't let the chips fall where they may on this? Seriously, this repeated mantra seems incredibly hollow to me. Gardner did not assume that the story would fit the BOM narrative, but he did assume that the BOM narrative was historical. This is a prime example of why his methodology is flawed. He wasn't looking at the history to determine anything other than if it paralleled something that he ALREADY considered historical. It didn't matter to him that it didn't match up well enough to form a parallel because he didn't need it to. He had already decided before he even began his research what his conclusion was. And we all know that if you look hard enough for parallels, you'll find them. He specifically says that he never laid his testimony down and he never picked it back up again. You can't say that you're testimony is never on the line out of one side of you mouth and then the next minute say that you are only giving "the benefit of the doubt" as it's dishonest. As a test of his scientific methodology, what other explanations, rational or otherwise does Gardner give for his comparisons other than the BOM is historical and matches what he found in mesoamerican history? Yes, Gardner's testimony creates a bias that favors historicity. This has never been denied. But that bias is not the essence of his method, and does not disqualify him from doing rigorous scholarship. (If you think it does, then that really reveals more about your own biases and prejudices and it does about reality.) In fact, it arguably frees him up to assess the potential relationship to history more freely: he has nothing on the line when he looks at the evidence (since he is going to believe it anyway), therefore is free to evaluate the evidence and accept or reject it on its merits. I would be much more concerned about his biases if his testimony depended on the evidence. Seriously, if you are not willing to do even the minimum effort to read the most recent, and most detailed elaboration of his methodology, which is available for free on the Kofford Books website, why, exactly, are we still having this conversation? Sorry, I hadn't been back to read your reply. I find your reasoning as to how Gardner's faith has no affect on his methodology interesting. You admit that he is biased in favor of the book's historicity and that no matter what pieces of data he looks at, it won't affect this a priori belief yet it somehow doesn't affect his conclusions regarding convergences of data? He is taking archeological data from the pre-classic period and attempting to match it up with a 19th century text of very questionable provenance allowing the archeological data to dictate the meaning of the text....and you don't see a problem with his methodology? How would he NOT find parallels and convergences with this approach? I understand that he attempts to use controls such as time periods but these types of controls still allow parallelism a wide berth. Also, I've been completely unable to ascertain any cogent explanation of his theory on translation (tight as opposed to loose) as his conclusions and methodology demand BOTH to be true simultaneously. This is about as messy as you could get and it's no wonder that he would never try to present any of this to a refereed journal. His approach might allow a doubting member to temporarily suspend doubt but it is in no way persuasive in any other setting with any other audience outside of believing mormons. He not only attempts to imprint the archeological data onto the pages of the BOM, but he is forced to do violence to the text in order to do so. He must reinterpret the text in order to make it fit the data. He must specifically argue that a horse isn't a horse, a chariot isn't a chariot and steel isn't steel even when used in differing contexts that would specifically infer that it was in fact what we understand to be steel today, just to make the data fit. He also must argue an advanced, literate civilization which had the capability of creating permanent records, frequently did keep permanent records, yet, left none save the one delivered by an angel to a 19th century farm boy. And he has the insurmountable task of explaining how all of the advanced technologies some of which lasting for over 500 years didn't diffuse but suddenly became extinct. The only reason anyone would even attempt to jump through mental hoops like this is if they held the BOM as historical a priori and were willing to go to great lengths to establish any semblance of historicity for it. Totally unconvincing. One thing that I find interesting is that Jenkins and others are willing to spend a large amount of time arguing about why they aren't willing to spend their time reading what they deem as pseudo-scholarship. The less time one spends arguing from a position of ignorance the more time one has to remedy their ignorance. Unless, of course, one sees an advantage in remaining ignorant on certain topics. A hypothesis is an educated guess based on limited yet known and objective evidence. To form a hypothesis based on the belief in a miracle is not scientific as it has no basis in objective reality. To compare scientific bias with miracle based bias is disingenuous at best. I personally have no problem with you believing in the Book of Mormon as a matter of faith, it's when you try to assert it's historicity that I take issue. So the crux of the problem here is that you believe science and scholarship allow for supernatural explanation. This is just plain false. Proclaiming that "God did it" has no explanatory power and is alien to both science and scholarship. I find it interesting that you first suggest that I read his research and refute it in detail, and then out of the other side of your mouth you suggest that I'm not qualified to determine why mesoamericanists would reject any of Gardner's work. What you're essentially saying is even if I read his research and disagree with it, I'm not qualified to refute it......but I should read it and attempt to refute it....oi...... Anyway, I'll not waste too much of my time on his research because you are at least partially right, I would much prefer to hear a qualified person refute it but unfortunately, since Gardner's stuff will never be published in a reputable journal, I may never get the chance. Drawing vague parallels between preclassic mesoamerican culture and whatever you can read into the Book of Mormon is not scholarship and it is definitely not scientific. He has gathered a very large set of coincidental data in which the sum is much less than the whole. Is there any one piece of evidence or parallel that you consider particularly strong? Gardner may not always try to force a parallel where it just doesn't fit but because of his a priori assumption that the Book of Mormon is historical, he finds himself often using a shoe horn. Such as trying to equate "false Christs" before Christ's time with "men dressing up as Gods" in pre-classic mesoamerica...etc. To try to argue that the most viable explanation of a "link" such as this is because an angel actually gave JS a set of gold plates describing anachronism after anachronism is...well...irresponsible to put it mildly. What other explanations might there be that don't require you to suspend reality and invoke the "miracle" solution? Is it more likely that throughout many times and cultures in history that men have tried to set themselves up as Gods to their people? Might Joseph Smith have read about these things and decided to include these types of biblical sounding phrases in his book? This is a much more likely and rational explanation. "On a personal level, I ask once again: for you personally, what is the point that would make you lose faith in the case you make supporting the historicity of the Book of Mormon? (I certainly do not ask anything concerning your own religious faith, but specifically your belief in the Book’s literal historicity). How, in theory, could your own view be falsified?" I don't think there is anything that would cause you to reject the historicity of the BoM because you "know" it to be true. So what even is the point here? What you are saying is you don't understand why people who believe the Book of Mormon is ancient choose to study it in an ancient context. If you can't understand that, then I can't help you. Sorry.